As you may have guessed, I heart bananas. 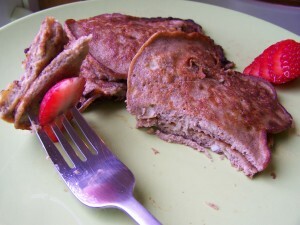 I also heart pancakes but they don’t heart me back so here is a healthier, yet still tasty version. Also I don’t love just any bananas. I love those brown, almost black, mushy ones that you’re thinking ‘maybe I should just throw away’. Wait! Don’t toss them! 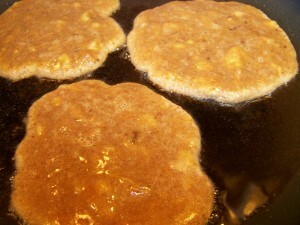 Those brown beauties are just waiting to be mashed into a recipe like this one or these pancakes. I’m always on the look out for the discounted brown bananas in the grocery store to grab up for just such a recipe. This recipe comes from StayFitMom and is a great gluten free option as well. 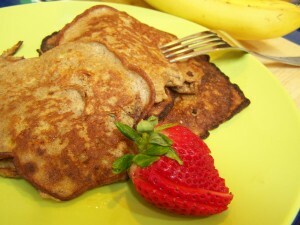 I first tried banana pancakes without the coconut flour but those are very hard to flip. The coconut flour in these adds just enough body to increase their flipability exponentially (I just graduated from college hence the fancy shmancy words). And since breakfast for dinner is pretty popular around here (no Mommy guilt over it either) this is a great option for any time of the day. I upped the cinnamon when I made them but you could even leave it out. A word to the wise however, don’t be lazy like me and think you can just eyeball the vanilla and then dump two big “glugs” into the bowl making for a very vanilla-ish batter. Seriously learn from me kids, don’t try it at home. Use those pretty measuring spoons people. 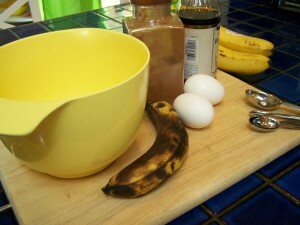 Mash banana. 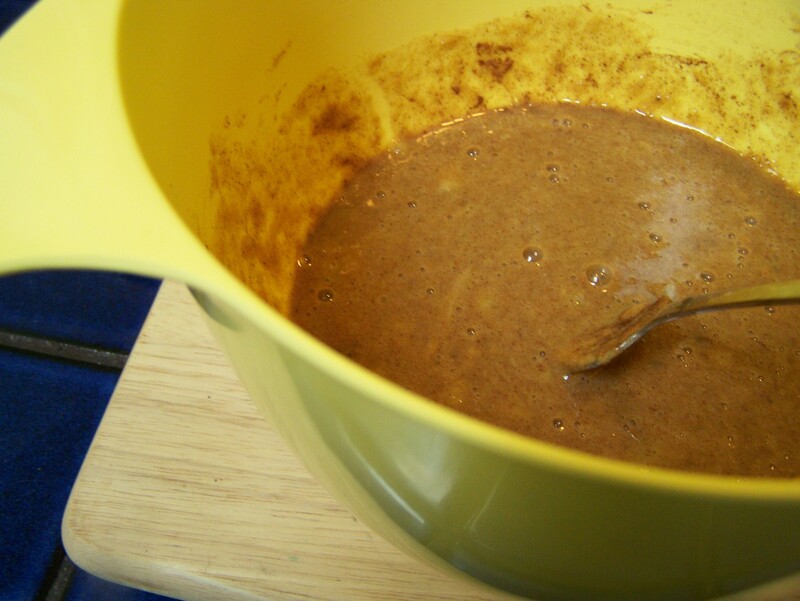 Mix in eggs, coconut flour, cinnamon and vanilla. Heat a large pan with coconut oil or another healthy oil of your choice. Drop batter into pan making small to medium pancakes. This yielded about 6 medium pancakes for me. Flip after 2-3 minutes. Enjoy.